I set out on a mission a little over a month ago to start making all our bread products instead of purchasing them. I figured it would be healthier and cheaper and I really have enjoyed baking. I tried one hamburger bun recipe last month that didn’t work as well as I had hoped. This month, I tried a new recipe and it turned out great! It is now in the recipe book and will be used often this summer as we love to grill. The original recipe can be found over at The Kitchn. This recipe was so easy. The original recipe makes about 8 buns, but I made some of mine smaller for the little ones since their burgers are smaller. I got 10 good buns out of the recipe and a little one for taste testing prior to dinner. Yum! I kneed all my dough by hand, but you can use your stand mixer for this recipe. The first thing you need to do is to combine the yeast and warm water and let sit until dissolved. While the yeast is dissolving, combine the milk, egg, vegetable oil, sugar, and salt. I normally let my yeast sit for about 5 minutes. 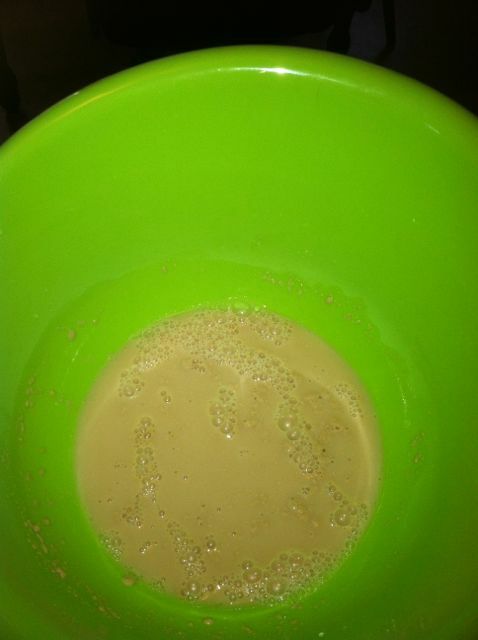 Once the yeast is dissolved, combine the milk mixture with the yeast and mix. Then add in the all purpose flour and combine to form a dough. Kneed the dough against the counter for about 10 minutes. If using a stand mixer, kneed on low speed for 10 minutes. The dough should be smooth, but be a little tacky. It should spring back if you poke it lightly. When your dough is combined, cover it and let it rise in a warm, draft free environment until doubled in size. This should take approximately 1 hour. I normally will place the bowl at the back of my stove near where the oven vents. I turn the oven on to 170˚ just to provide a little heat on colder days. This has worked well for all the things I’ve made so far that need to rise. 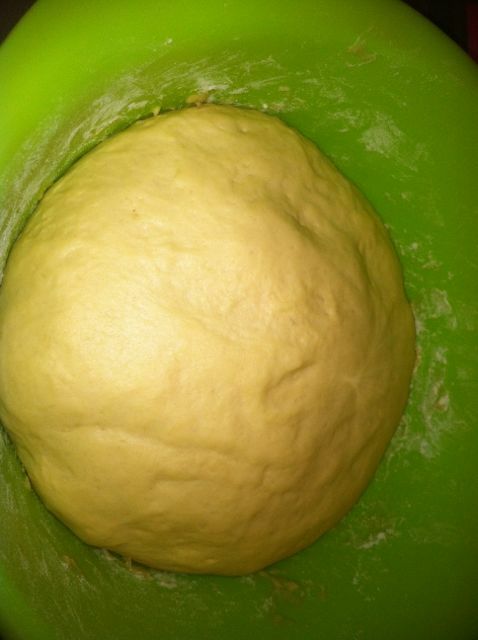 After the dough has risen, turn it out on a floured surface. Divide the dough in to 8 pieces, or in my case, I divided it in to 11. Roll each piece in a tight ball. (I seem to have issues with making things round as you will see in the following pictures, but I’m working on it). 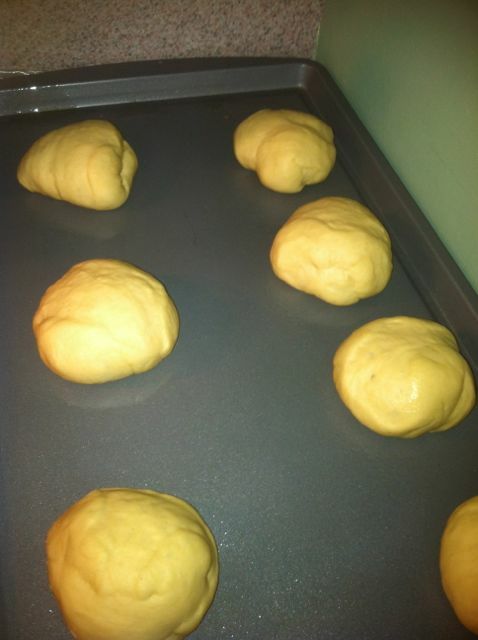 Transfer the balls to a baking sheet and allow them to rise until they are the size you want for your hamburger buns. Melt the butter and brush the tops of the rolls. Place the rolls in a 375˚ oven. Bake until the rolls are golden on top, about 15-18 minutes. Let the rolls cool completely prior to slicing. They will last a day or two on the countertop, or you can freeze them in foil. If frozen, let them thaw overnight in the foil. 1. Combine the yeast and warm water. Follow the instructions on your yeast as far as temperature so you don’t kill the yeast. Let this mixture sit until dissolved, about 5 minutes. 2. 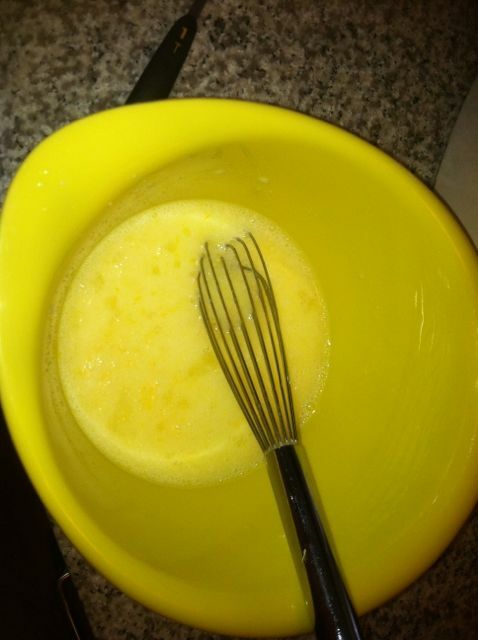 In a separate bowl, combine the milk, egg, vegetable oil, sugar, and salt. Whisk to combine. 3. Pour the milk mixture in with the yeast mixture and combine. 4. Add the flour and stir until a dough begins to form. The dough should be shaggy. 5. Kneed the dough on low speed or by hand against the countertop for 10 minutes. The dough should be smooth, a bit tacky, and spring back when poked lightly. 6. Place in a clean bowl, cover and let rise in a warm draft free location until doubled in size, approximately 1 hour. 7. 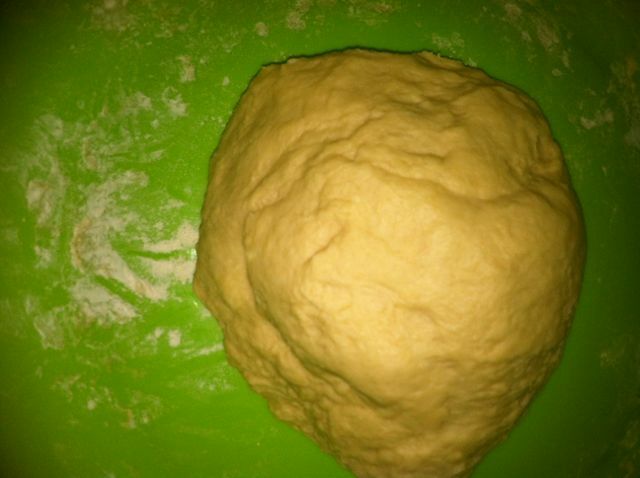 Turn the dough out on to a floured surface and divide in to 8 to 10 balls. Roll each ball tightly and transfer to a baking sheet. 8. 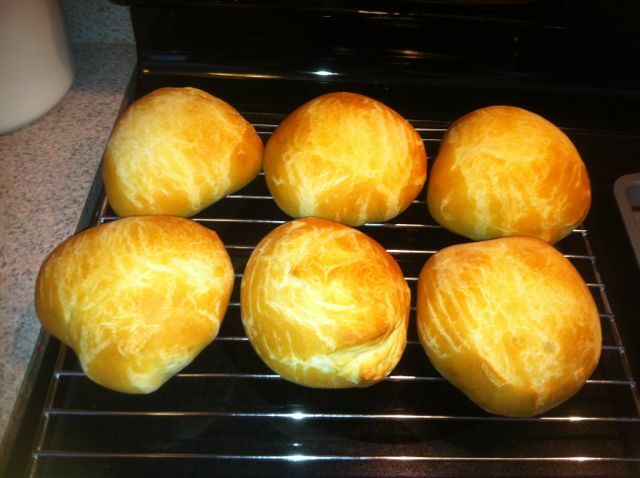 Let the rolls rise until they are puffy and the size of hamburger bun that you want. 9. Melt the butter and brush the tops of the rolls. 10. Bake in a 375˚ until golden brown, approximately 15-18 minutes. 11. Let rolls cool completely before slicing. You can double this recipe by doubling all ingredients except for the yeast. You can also substitute whole wheat flour. Substitute 1/2 to 1 cup of wheat flour for the all-purpose. The rolls will be a little more dense.